My friend asked me to make a birthday card for her niece who is turning 18. I figured something with high drama and sparkle would be good. I cut '18' and then simply used the offset function on my Silhouette to create the neon pink borders (it's so cool - you can choose how thick you want the borders to be and it cuts it perfectly!) I then glued the black onto the pink onto the black card base and covered the exposed pink in Glam Pink stickles. 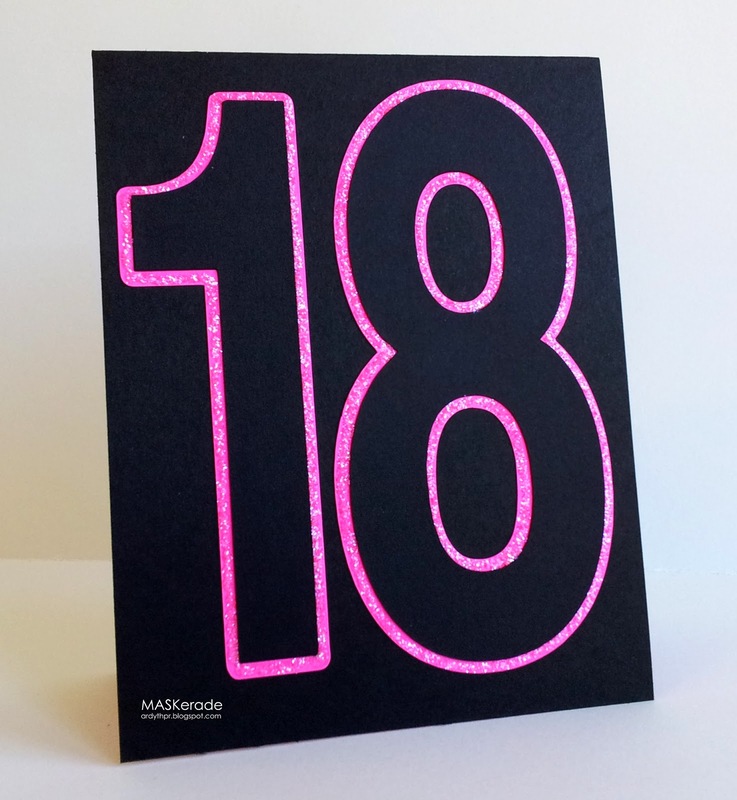 I used a matching pink panel inside the card, stamped with Happy Birthday. What an impact this makes, Ardyth! Love that big, bold, sparky 18! So fun! Wow! Just popped in to say I love your arrow card -which is so clever! This card is soooo AMAZING! Just love it. Really eye catching. Might have to get myself one of those machines, its getting very very tempting. Absolutely perfect for an 18 year old! Love it! Very dramatic! Perfect for an 18 year old. So perfect! I am sure any 18-year old girl would love this! WOW - she is going to love this! And I'm lovin' my visit because I had no idea this could be accomplished on the Silhouette....however, I am only at page 34 in the manual. Some exciting "learning" ahead! Fabulous pink stickles! No missing the message here! Had to come check out your craft room (via Bev).